Tokyo Station is the largest and busiest train terminal in Japan. More than 3,000 trains depart the station each day, providing transportation for over 400,000 passengers. It is located in the Marunouchi business district, not far from the Imperial Palace. During the Edo Period, this area was located within the outer moats of the castle. Tokyo itself is a bustling metropolis, often the first part of Japan that international travelers experience. 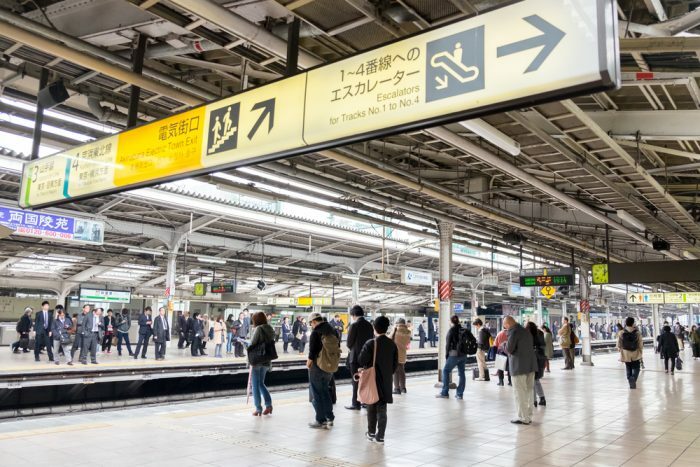 Learning how to utilize Tokyo Station as a transportation hub will help make your vacation enjoyable and worry-free. Many of the trains serving Tokyo Station are fully covered by the Japan Rail Pass. This makes travel in, around, and through this major metropolis both easy and affordable. The Chuo Line to Shinjuku and Takao. The Keihin Tohoku Line to Ueno Station, Akihabara, and Omiya. The Ueno Tokyo Line, which runs the Limited Express Hitachi. The Tokaido Line, which runs the Limited Express Sunrise Seto and Izumo, the Limited Express Odoriko, and the Rapid Moonlight Nagara. The Sobu and Yokosuka lines, which run the Rapid Airport Narita and Narita Express to Narita Airport. The Keiyo Line includes the Limited Express Wakashio to Katsuura, the Limited Express Sazanami to Tateyama, and various local trains. This line also provides access to Maihama, the nearest station to Tokyo Disney. As mentioned, the Narita Express is the most convenient transfer between Tokyo Station and Narita International Airport, which hosts most of the overseas flights to Japan. This limited express train service is fast, reliable and punctual, and you can ride it for free with your Japan Rail Pass. The Tokyo Monorail does not directly serve Tokyo Station, but it can be reached by taking either the Yamanote or Keihin-Tohoku lines from Tokyo Station to Hamamatsucho Station. There, you can transfer to the Tokyo Monorail to Haneda Airport. The entire trip takes about 25 minutes and is included in your JR Pass. The Tokyo Metro offers local train service on the Marunouchi Line, with connections to Ginza and Shinjuku Station. More than ten ticket gates serve as the entrances and exits to the station. Those to the east are called Yaesu, those to the west, Marunouchi. Access to the Shinkansen trains is on the Yaesu side. The ground floor level of Tokyo Station houses 20 train tracks at ten platforms. Two portions of the station are located underground, each housing four train tracks at two platforms. Several other train stations of the Yamanote Line are located within walking distance of Tokyo Station. Buses are also available. 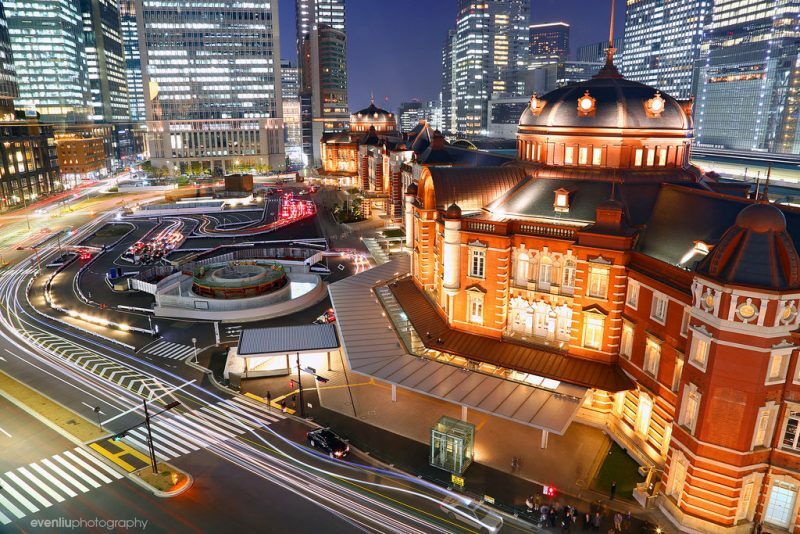 Within Tokyo Station, you will find a JR hotel, an art gallery, the Daimaru Department Store, and numerous restaurants. In Marunouchi, directly west of the station, many of the skyscrapers contain shopping complexes and restaurants in their lower levels. These include the Marubiru or Marunouchi Building, the Shin Marubiru, Kitte (which is translated “postal stamp”), Marunouchi Oazo, Nakadori Avenue, Marunouchi Brick Square, and Tokyo Building Tokia. Additional hotels are accessible from the station’s eastern side. A five-minute walk from Tokyo Station is the Tokyo Imperial Palace, the current residents of the imperial family. The East Gardens are open to the public, and some of the inner grounds can be viewed on guided tours. Other attractions include the Mitsubishi Ichigokan Museum, originally built by the Mitsubishi Company in 1894, and the Tokyo International Forum, an event venue, and architectural highlight. What must-see places will you visit in Tokyo? With your JR Pass in hand, your Japan vacation is sure to become a treasured memory. From Narita airport, how do I get to Kinshicho station? I intend to buy a 7Day JR Pass when I arrive at Narita Airport. My hotel is near Kinshicho station. We recommend you check our itinerary page on how to get from Tokyo to Kyoto and Osaka by train.